We're hiring passionate interns for the summer to help us organise the events. It's a great opportunity for anyone who is interested in gaining experience in the events. 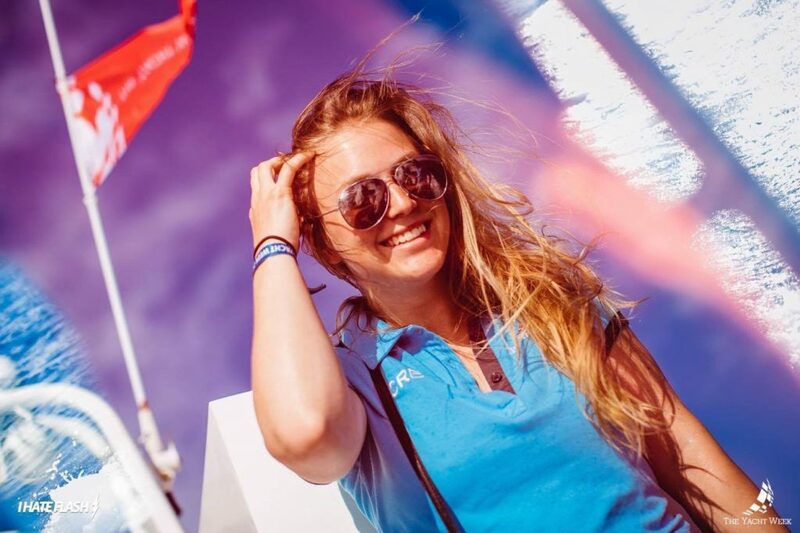 We caught up with Monika, Intern Manager, to get a deeper look into life as an intern on The Yacht Week. This is her. She's great. What inspired you to get involved with TYW? I first found out about TYW through my roommate who showed me the famous trailer in 2013 and it always stuck with me. I took a year off uni to do internships and when I was researching the kind of companies I wanted to work with, TYW came up so I went ahead and applied to be a summer intern in 2015. The rest is history. How do you think TYW internship differs from a regular 9-5 job? It pulls you completely out of your comfort zone. I had never been to Croatia before TYW and I got to make it my home for 5 weeks rather than experience it as a tourist. The internship gives you an in-depth look at what running an event of this scale is like. In terms of working for TYW outside of events, I love it because it has that family start-up feel. I think everyone envisions a massive office but we're only 35 people in London so you're given the opportunity to grow with the company and experience event management from all angles. What is a typical day in an intern's shoes? It runs on more of a weekly schedule, than a daily schedule. But you wake up (sleep in a little) and have breakfast together. You might be travelling in the mornings to a different island and then normally in the afternoon we do boat hopping where we chill with the guests and tell them a bit about the plan for the day. Later on, we set up for night events and just make sure the vibes are good. After doing 23 TYW events you must have met thousands of people... do you feel like you now have connections around the world? I think that's one of the greatest things you take out of working the events. You are recognisable to 200-1000 people with your blue shirt. You go around to every boat introducing yourself and making incredible connections. I've even heard stories of skippers and interns doing trips around the world and not paying a cent for accommodation. Yacht Weekers are typically between the ages of 24-35 so it's also a time to network for work or passion projects. Being away from home, and reality in a sense, did it put a new perspective on life when you came back to the 'real' world? I think the beauty of The Yacht Week is that when you're at the events it's a fresh start – you're around completely new people. It's an opportunity for you to reinvent yourself. You don't carry the baggage of your past or your 'real life' because it's 'nothing like the real world'. Your perspective on friendships, priorities, communication etc changes in one way or another. You might even find some challenges within yourself but you come out of it having done something so unique that the rest of the world seems different. 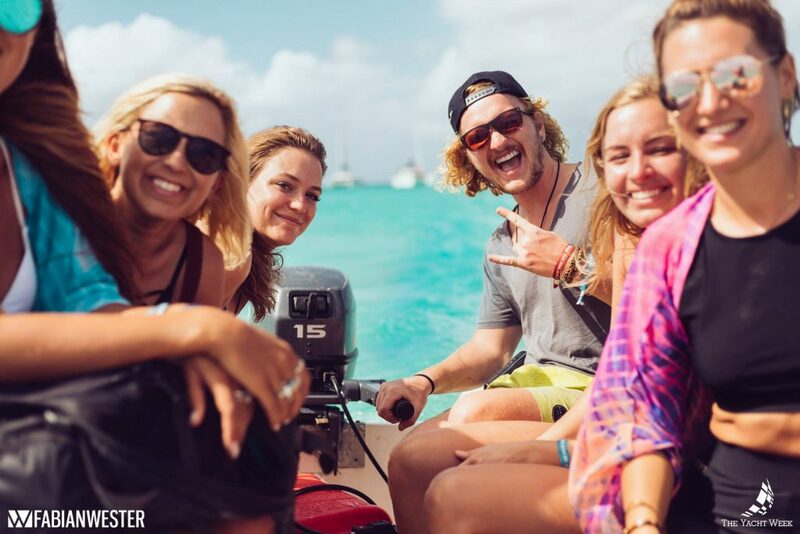 As much as The Yacht Week is an escape from reality, you return with a fresh take, a few new tricks up your sleeve and an entire community of people behind you. The big and scary 'real world' that we all face somehow seems just a little bit smaller and a little bit easier to take on. I think the beauty of The Yacht Week is that when you're at the events it's a fresh start – you're around completely new people. It's an opportunity for you to reinvent yourself. Keen to apply for the summer internship programme? Here's your chance!